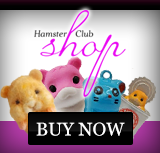 If you’re browsing through your nearest pet store in search of a new hamster for yourself or your kids, it’s difficult to choose one that you think is best. Not only are there a number of breeds to choose from, but there’s also the age to take into consideration, and most importantly, the health of the animal. You don’t want to take home a pet that might be sick and won’t last too long, and learning how to tell what kind of health your potential pet is in can make all the difference when making the choice. It’s not too difficult to discern the health of a hamster, but it does take a bit of information – mainly learning to look for certain signs, and for the most part, doing a full check of a hamster doesn’t usually take more than 10 minutes at a time. This can also be vital if you intend to breed hamsters and want to make sure that your breeding pair are in optimal health, and a good way to check that your pet isn’t in any kind of discomfort or pain that might require a visit to the vet. Always keep in mind that this is more of a general check, and that if you feel that your pet isn’t well, you should take it to the vet as soon as possible. Just like when playing the online slots NZ has to offer, knowledge is key, and knowing what to look for in a healthy hamster can save you plenty of heartache. Here’s how to check the overall health of your hamster. Just take an overall look at the hamster. Pick it up, check the quality of the fur and if there is any swelling or injuries. 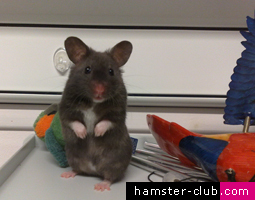 The hamster should look neither fat or skinny, and is a quick way to tell if its eating properly or not. A hamster’s mood tends to be consistent for the most part, and most hamsters are quite curious little things, always on the go, and never lazy or lethargic. When a hamster wakes up during the evening, it should be alert and inquisitive about its surroundings; a hamster that doesn’t seem alert of curious might be sick. Always make sure to check the hamster’s coat. It should always be soft and fluffy, which means that the hamster is grooming itself regularly. Check for any patches of fur that might be missing, and if you notice some soiling below the tail, this might be an indication of diarrhoea. A healthy hamster’s breathing will always be quiet and regular, and any laboured breathing or wheezing indicates a problem with the breathing tract or the lungs. Hamsters are constantly on the move, and you should sit and watch your hamster for a few minutes. If it’s slow, shows any signs of lameness, reluctance to move, or stiffness, there might be something wrong. Just like sports stars suffer from injuries, hamsters can too, especially if they have been very active in their balls or wheels. 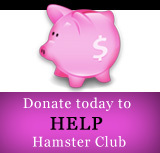 Always make sure that the hamster’s home is clean, with fresh water and food at all times. A good home means that the hamster isn’t stressed, which also means that it will have better quality of life and is less prone to any diseases.